I realized that I have been terribly remiss in not posting a picture of the Saint Tabuche, who is not only the best driver in Africa but the best man in Africa! Sorry Lawrence! 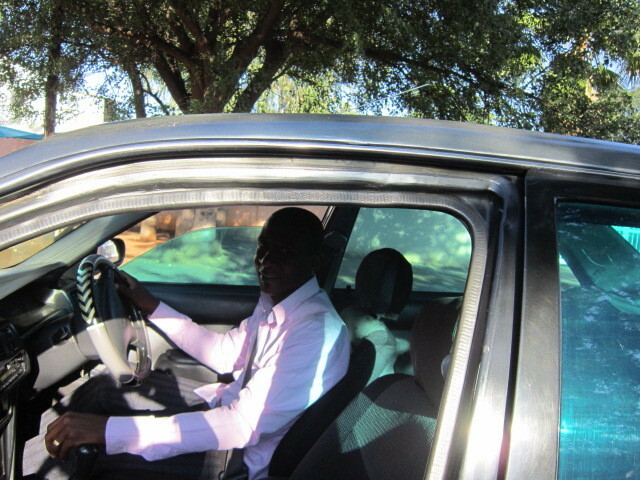 Today was a big day for him as he got to appear before a government board to apply for his permanent license to operate a taxi business in Botswana. He has been operating on temporary permits which mean that every few months he has to appear before the panel and reapply. This permanent permit will mean that he has been recognized and will not have to reapply. As soon as he gets the official paperwork you can be sure that I will ensure that he celebrates this amazing achievement. I could not be happier or prouder. Previous Article Here I go Again!